The heart of the new HUAWEI Nova 3 is the tried and tested Kirin 970 processor working with 4GB RAM. If you plan on taking pictures with the phone's camera rather than running demanding apps, this smartphone is the right choice for you: the Huawei Nova 3 boasts two high resolution dual cameras. The phone's 3,750mAh battery ensures reliable operation throughout the day and its Quick Charge feature allows you to recharge the battery no time. The Huawei Nova 3 also comes equipped with a fast fingerprint reader and a facial recognition sensor, which works even in low light conditions, providing two quick and easy unlock methods. If two cameras are not enough for you, the Huawei Nova 3 has two more to make you happy. Its dual rear sensor will enchant you with its 16Mpx primary camera and 24Mpx monochrome secondary camera. The Huawei Nova 3's front camera boasts the same resolution as the rear camera and it features 2Mpx secondary sensor. You'll appreciate its AI system that detects up to 8 scenes and includes a beautifying algorithm for flawless selfies. Playful HUAWEI Nova 3 owners will appreciate 3D Qmoji feature, which enables you to create animated emoticons based on your grimaces and share them on social networks. Unlock your Huawei Nova 3 by using its tried and tested fingerprint reader or modern facial recognition sensor: improved Face ID technology ensures quick, secure and reliable operation even in low light conditions. The Huawei Nova 3 is the first Huawei phone that can detect your face even at night thanks to its infrared emitter which illuminates your face. The Huawei Nova 3 has your back even when it comes to its battery life: its 3,750mAh battery with Quick Charge support allows you to use the smartphone as much as you want. Face Unlock, Quick charging, Notification diode, OTG, Fingerprint reader on body Done! 6.3 " (16 cm) Done! 3840 × 2160 (Ultra HD) Done! 2.4 GHz (2,400 MHz) Done! For shipping to other EU countries visit this page HUAWEI nova 3 Purple. Für Versand nach Deutschland, besuchen Sie bitte HUAWEI Nova 3 Lila. Chcete doručit zboží do Česka? Prohlédněte si HUAWEI nova 3 fialový. Chcete doručiť tovar na Slovensko? 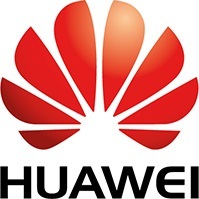 Prezrite si HUAWEI Nova 3 Fialový. Für Versand nach Österreich, besuchen Sie bitte HUAWEI Nova 3 Lila. Magyarországra történő kiszállításért tekintse meg ezt a termékoldalt: HUAWEI Nova 3 lila.